2017-03-31 23:00 WEATHER ACTUAL. HAVANA CITY. Warm evening with mostly clear skies and weak winds. Minimum temperature 27 Celsius. 2017-03-31 17:00 WEATHER ACTUAL. VARADERO BEACH. Clear blue sky, high temperatures and light winds, the perfect combination to enjoy the beach. 2017-03-31 09:00 WEATHER ACTUAL. HAVANA CITY. Sunshine aplenty with some high clouds and gentle south-southeast winds. Maximum temperature 27 degrees Celsius. 2017-03-31 03:00 WEATHER FORECAST. NATIONWIDE. It will remain dry throughout the day, with plenty of warm sunshine that, combined with light winds, will lead to another very warm day, especially in south-eastern areas. Maximum temperatures will hover around 30-33 Celsius (86-91 F) while the lows overnight will be between 22-25 Celsius (72-77 F). The sea will stay calm in the whole archipelago. 2017-03-30 23:00 WEATHER ACTUAL. HAVANA CITY. Warm evening but not too hot with a low of 25 Celsius. Clear skies and light refreshing winds. 2017-03-30 16:00 WEATHER ACTUAL. HAVANA CITY. Sunny and warm with highs in the upper 20s Celsius (70s F). Light to moderate winds. 2017-03-30 10:00 WEATHER ACTUAL. HAVANA CITY. Mostly sunny morning with a high of 28 Celsius. Gentle south-easterly winds. 2017-03-30 03:00 WEATHER FORECAST. NATIONWIDE. The whole country will stay dry all day today with sunshine aplenty and light winds. Temperatures will increase slightly reaching 33 Celsius (91 F) for many but will drop down to 21-24 Celsius (57-63 F) overnight. The sea will stay calm throughout the archipelago. 2017-03-29 23:00 WEATHER ACTUAL. HAVANA CITY. Nice with clear skies, light winds and temperatures in the low-20s Celsius (70s F). 2017-03-29 17:00 WEATHER ACTUAL. VARADERO BEACH. Hot day with plenty of sunshine and weak winds. 2017-03-29 10:00 WEATHER ACTUAL. HAVANA CITY. Clear skies, plenty of sunshine and light easterly winds. Maximum temperature 28 Celsius. 2017-03-29 03:00 WEATHER FORECAST. NATIONWIDE. Today will be a fine and dry day with plenty of sunshine, although this may become hazy at times. With light winds, it will feel very warm reaching highs of 29-32 Celsius (84-90 F); the night will be less hot with the lows hovering around 20-23 Celsius (68-73 F). Some waves will be affecting the north-east coast but overall the sea will remain calm. 2017-03-28 23:00 WEATHER ACTUAL. HAVANA CITY. Nice evening with mostly clear skies and refreshing winds. Minimum temperature 23 Celsius. 2017-03-28 18:00 WEATHER ACTUAL. MATANZAS CITY. Clouds and sunshine with high temperature and gentle winds. 2017-03-28 10:00 WEATHER ACTUAL. HAVANA CITY. Harsh sunlight and weak easterly winds. Maximum temperature 29 Celsius. 2017-03-28 03:00 WEATHER FORECAST. NATIONWIDE. High pressures is sitting over Cuba today so we will continue to see lots of sunshine and very few rainfall. Maximum temperatures will be on the warm side in the upper 20s Celsius (70s F) while the lows overnight will be around 20-23 Celsius (68-73 F). The winds will be light all day long but some waves will continue hitting the north-east coastline. In the rest of the archipelago the sea will stay calm. 2017-03-27 23:00 WEATHER ACTUAL. HAVANA CITY. Nice evening with mostly clear skies and light winds. Minimum temperature 23 Celsius. 2017-03-27 17:00 WEATHER ACTUAL. VARADERO BEACH. Sunny with cloudy spells and weak winds. High 28 Celsius. 2017-03-27 10:00 WEATHER ACTUAL. HAVANA CITY. Sunny with just a few clouds around and weak winds. Maximum temperature 28 Celsius. 2017-03-27 03:00 WEATHER FORECAST. NATIONWIDE. Today will be mainly dry and sunny, but there could be some afternoon showers to the east of Camaguey province. Highs will be on a warming trend throughout the day with highs in the upper-20s Celsius (70s F) falling to 20-23 Celsius (68-73 F) at night. Northeast winds may exceed 30 km/h (20 mph) at times causing strong swells on the north eastern coast; in the rest of the coasts the sea will remain calm. 2017-03-26 23:00 WEATHER ACTUAL. HAVANA CITY. Dry evening with mostly clear skies and moderate winds. Minimum temperature 23 Celsius. 2017-03-26 12:00 WEATHER ACTUAL. HAVANA CITY. Mostly sunny and fine with a high of 27 Celsius. Light to moderate winds. 2017-03-26 03:00 WEATHER FORECAST. NATIONWIDE. Once again a day with plenty of sunshine and warm temperature is expected. There is a chance of some showers in the east, but the rest of the country will remain dry. The maximum temperatures will be in the range of 27-30 Celsius (80-86 F) falling to 20-23 Celsius (68-73 F) overnight. Gusty winds above 30 km / h (15 mph) will keep the rough sea in the north-east coast; in the rest of the coasts the sea will remain calm. 2017-03-25 23:00 WEATHER ACTUAL. HAVANA CITY. Mostly clear and nice with moderate southern breeze. Minimum temperature 23 Celsius. 2017-03-25 16:00 WEATHER ACTUAL. MATANZAS CITY. Mix of clouds and sunshine and temperatures around 27 Celsius. Moderate winds and rough sea across the coast. 2017-03-25 10:00 WEATHER ACTUAL. HAVANA CITY. Sunny morning with high temperatures around 28 Celsius. Moderate winds and light waves along the city littoral. 2017-03-25 03:00 WEATHER FORECAST. NATIONWIDE. Today we can expect a good deal of dry weather with plenty of sunshine, although the clouds and showers will persist across eastern provinces. Maximum temperature will be hover around 28-31 Celsius (83-88 F) falling to 20-23 Celsius (68-73 F) at night. Moderately strong winds will produce some waves in the north and south-east coasts whereas in the rest of the south coast the sea will stay mainly quiet. 2017-03-24 13:00 WEATHER ACTUAL. HAVANA CITY. Sunny with cloudy spells and some isolated drizzle. Maximum temperature 28 Celsius. 2017-03-24 11:00 WEATHER ACTUAL. MATANZAS CITY. Cloudy spells with occasional light rain or drizzle. Moderate north-easterly winds and a high of 28 Celsius. 2017-03-24 03:00 WEATHER FORECAST. NATIONWIDE. Today will be dry and mostly sunny for most although will be cloudier in the east with a chance of some showers. The temperatures will hover around 26-29 Celsius (79-84 F) throughout the day descending to 19-22 Celsius (66-72 F) in the evening. Northeast winds of up to 35 km / h will cause waves throughout the north and south east coasts while in the rest of the country the sea will remain calm. 2017-03-23 23:00 WEATHER ACTUAL. HAVANA CITY. 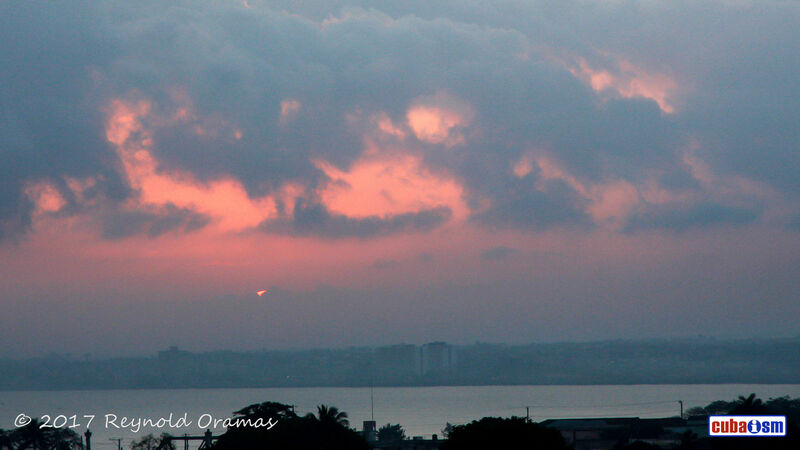 Nice evening with clear spells and moderate winds. Minimum temperature 23 Celsius. 2017-03-23 19:00 WEATHER ACTUAL. VARADERO BEACH. Hot with a strong sun and mostly clear sky. Light winds and light waves on the beach. 2017-03-23 08:00 WEATHER ACTUAL. HAVANA CITY. Partly sunny and nice with a high of 23 Celsius. Light north-easterly winds. 2017-03-23 03:00 WEATHER FORECAST. NATIONWIDE. Today we can expect a similar day to yesterday with largely sunny sky in most of the country and some clouds and showers confined to the east. The winds will be generally light feeling a little warmer than recent days with the highs around 26-29 Celsius (79-84 F); the lows at night will be between 21-24 Celsius (70-75 F). The sea will remain calm in all of the archipelago albeit with some waves in the north-east coast. 2017-03-22 23:00 WEATHER ACTUAL. HAVANA CITY. Nice evening with clear skies and temperatures in the low-20s Celsius. Light winds. 2017-03-22 16:00 WEATHER ACTUAL. VARADERO BEACH. Warm with mostly clear sky and sunshine aplenty. Light winds and calm sea. 2017-03-22 08:00 WEATHER ACTUAL. HAVANA CITY. Pleasant start with temperatures around 20 Celsius under clear blue skies. Gentle east-northeast winds. 2017-03-22 03:00 WEATHER FORECAST. NATIONWIDE. It will be another warm, dry and sunny day for most although the overcast skies and showers will remain in the east. Maximum temperatures will be in the range of 25-28 Celsius (77-82 F) descending to 18-21 Celsius (64-70 F) overnight. The winds will be generally light and the sea will stay calm across the country with some waves only in the north-east. 2017-03-21 23:00 WEATHER ACTUAL. HAVANA CITY. Nice evening with clear skies and cool breeze. Minimum temperature 21 Celsius. 2017-03-21 13:00 WEATHER ACTUAL. MATANZAS CITY. Sunny morning with clear sky and high temperature. 2017-03-21 09:00 WEATHER ACTUAL. HAVANA CITY. Pleasant weather with plenty of sunshine and gentle winds. maximum temperature 24 Celsius. 2017-03-21 03:00 WEATHER FORECAST. NATIONWIDE. Most of the country will have increasing amounts of sunshine but the far east is likely to maintain cloudy with the risk of some showers. It will remain mainly dry elsewhere, with light winds, but also warm with the mercury hitting 28 Celsius (82 F). A cool evening is expected with lows between 18-21 Celsius (65-70 F). The rough sea will persist in the north-east while in the rest of the coasts the sea will stay calm. 2017-03-20 23:00 WEATHER ACTUAL. HAVANA CITY. Pleasant night with clear spells and cool southern winds. Minimum temperature 22 Celsius. 2017-03-20 18:00 WEATHER ACTUAL. HAVANA CITY. Partly cloudy with occasional light rain or drizzle. 2017-03-20 11:00 WEATHER ACTUAL. HAVANA CITY. Nice morning with mostly sunny sky and weak north-easterly winds. High of 25 Celsius. 2017-03-20 03:00 WEATHER FORECAST. NATIONWIDE. 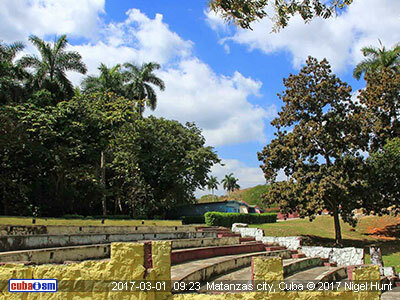 Met Office says it will be dry and mostly sunny throughout Cuba although will be cloudier in the East with the risk of some showers. The temperatures will hover around 25-28 Celsius (77-82 F) but could be warmer in the south-east; the night will be cool with the lows between 16-19 Celsius (61-66 F). There will be some waves in certain parts of the north but overall the sea will remain calm for the most. 2017-03-19 23:00 WEATHER ACTUAL. HAVANA CITY. Nice evening with clear spells and light winds. Minimum temperature 23 Celsius. 2017-03-19 13:00 WEATHER ACTUAL. MATANZAS CITY. Sunny morning with just a few clouds around. High temperature. 2017-03-19 11:00 WEATHER ACTUAL. HAVANA CITY. Pleasant weather with sunny spells and a high of 24 Celsius. Gentle north-northeasterly winds. 2017-03-19 03:00 WEATHER FORECAST. NATIONWIDE. After a cool start, it'll be fine and mainly dry with increasing amounts of sunshine. However, it'll be cloudier across the far east with the risk of some showers. Daytime temperatures will be between 25-28 Celsius (77-82 F) while the lows at night will be in the range of 20-23 Celsius (68-73 F). The winds will not exceed the speed of 25 km/h (15 MPH) and the sea will stay calm in most of the archipelago. 2017-03-18 23:00 WEATHER ACTUAL. HAVANA CITY. Mostly clear and pleasant with a low of 22 Celsius. North-easterly winds at 18 km/h. 2017-03-18 13:00 WEATHER ACTUAL. VARADERO BEACH. Warm with mostly clear skies and light winds. Light waves at the beach. 2017-03-18 10:00 WEATHER ACTUAL. HAVANA CITY. Partly sunny and fine with a high of 25 Celsius. Light to moderate winds and rough sea along the city coast. 2017-03-18 03:00 WEATHER FORECAST. NATIONWIDE. It will be a mostly cloudy day throughout Cuba, although there will be some bright or sunny spells developing in the west. However, there will be the risk of a few showers across eastern provinces during the afternoon. The temperatures will hover around 25-28 Celsius (77-82 F) dropping down to 18-21 Celsius (64-70 F) overnight. Gusty winds above 30 km / h (15 mph) will keep the rough sea along the north and south-eastern coasts while in the rest of the south the sea will remain calm. 2017-03-17 23:00 WEATHER ACTUAL. HAVANA CITY. Mostly cloudy and cool with a low hovering around 20 Celsius. Light southern winds. 2017-03-17 18:00 WEATHER ACTUAL. BOCA DE CAMARIOCA. Mostly cloudy with clear spells and a high of 25 Celsius. Moderate winds and waves hitting the beach. 2017-03-17 08:00 WEATHER ACTUAL. HAVANA CITY. Cloudy with spells of light rain and a high of 20 Celsius. Light north-easterly winds. 2017-03-17 03:00 WEATHER FORECAST. NATIONWIDE. Today will be another grey day with largely cloudy skies for the most. These will be thick enough to produce scattered showers, mainly across eastern parts. Temperatures are expected to peak 24-27 Celsius (75-81 F), cooling down into 17-20 Celsius (63-68 F) overnight. Gusty north-easterly winds will cause strong waves along the north and south-east coasts while on the rest of the archipelago the sea will remain calm. 2017-03-16 23:00 WEATHER ACTUAL. HAVANA CITY. Cloudy and cool with a low of 19 Celsius. Light to moderate winds. 2017-03-16 16:00 WEATHER ACTUAL. MATANZAS CITY. Mostly cloudy skies and pleasant temperatures. Gusting winds causing waves along the coast. 2017-03-16 11:00 WEATHER ACTUAL. HAVANA CITY. Nice weather with sunny spells and a high of 21 Celsius. Gentle winds. 2017-03-16 03:00 WEATHER FORECAST. NATIONWIDE. A cloudy day is expected throughout Cuba with brighter spells across western and central parts. A few showers are possible but they will be confined to the north-east coast. The temperatures will hover around 22-25 Celsius (72-77 F), somewhat warmer in the east; the night will be cool with lows between 16-19 Celsius (61-66 F). The force of the winds will keep the strong swells along the north coast and the same will occur in the southern strip between Punta de Maisi and Cabo Cruz. The rest of the south coast will enjoy calm sea. 2017-03-15 23:00 WEATHER ACTUAL. HAVANA CITY. Cloudy with moderate north-northeasterly winds. Minimum temperature 20 Celsius. 2017-03-15 16:00 WEATHER ACTUAL. VARADERO BEACH. Nice weather with mostly clear skies and light winds. Maximum temperature 24 Celsius. 2017-03-15 08:00 WEATHER ACTUAL. HAVANA CITY. Cloudy and cool with light northerly winds. Maximum temperature 20 Celsius. 2017-03-15 03:00 WEATHER FORECAST. NATIONWIDE. A cloudy day is expected this Wednesday, with a risk of some showers and rain in the east. The temperature will drop slightly into 22-25 Celsius (71-77 F) but in the east it will stay around 29 Celsius (84 F). At night, the lows will be between 19-22 Celsius (66-72 F) for most. Gusts of winds above 30 km / h (15 mph) will produce waves along the north coast as well as in the south-east. In the rest of the south coast the sea will stay calm. 2017-03-14 22:00 WEATHER ACTUAL. HAVANA CITY. Cloudy and cool with light northerly winds. Minimum temperature 23 Celsius. 2017-03-14 18:00 WEATHER ACTUAL. VARADERO BEACH. Cloudy with spots of light rain and temperatures in the mid-20s Celsius. Moderate winds and some unrest of the sea across the beach. 2017-03-14 11:00 WEATHER ACTUAL. HAVANA CITY. Mostly cloudy and warm with a high of 27 Celsius. Moderate winds causing unrest of the sea along the city coast. 2017-03-14 03:00 WEATHER FORECAST. NATIONWIDE. A new cold front will move throughout western Cuba today with a band of showers. Through the afternoon the showers will spread into the East with occasional heavy downpours over the central provinces. Maximum temperatures will be in the range of 29-32 Celsius (84-90 F) but could be less warmer in the west; the lows at night will be between 20-23 Celsius (68-73 F). The sea will be mainly calm in all of coasts but the swell will gradually increase along the north western and central regions. 2017-03-13 23:00 WEATHER ACTUAL. HAVANA CITY. Cloudy and nice with a low of 23 Celsius. Light southern winds. 2017-03-13 17:00 WEATHER ACTUAL. VARADERO BEACH. Hot day with mostly clear sky, plenty of sunshine and light winds. 2017-03-13 08:00 WEATHER ACTUAL. HAVANA CITY. Nice start of the day with clear skies and a high of 23 Celsius. Fresh south-easterly breeze. 2017-03-13 03:00 WEATHER FORECAST. NATIONWIDE. It will be mainly dry and sunny throughout the day although with some clouds will build up and bring scattered afternoon showers across north-eastern areas. The mercury in thermometers will reach 32 Celsius (90 F) in most of the country dropping down to 17-20 Celsius (63-68 F) overnight. The winds will be all day long and the sea will stay calm in the whole archipelago. 2017-03-12 22:00 WEATHER ACTUAL. HAVANA CITY. Increasing clouds spreading from the north-west with well scattered light showers in some areas of the north. Minimum temperature 25 Celsius. 2017-03-12 14:00 WEATHER ACTUAL. HAVANA CITY. Mostly sunny and warm with a high of 28 Celsius. The winds blow from the north-eat at 13 km/h. 2017-03-12 07:00 WEATHER ACTUAL. MATANZAS CITY. Mostly cloudy and fine start with a high of 25 Celsius. Light refreshing sea breeze. 2017-03-12 03:00 WEATHER FORECAST. NATIONWIDE. It will be another fine, dry and warm day with plenty of sunshine. Maximum temperatures will be between 29-32 Celsius (84-90 F) while the lows overnight will be around 20-23 Celsius (68-73 F). Calm sea is expected for the most with some waves only in the eastern coasts. 2017-03-11 23:00 WEATHER ACTUAL. HAVANA CITY. Mostly cloudy night with light winds and a low of 24 Celsius. 2017-03-11 17:00 WEATHER ACTUAL. VARADERO BEACH. Clear blue skies and hot temperatures. light winds and calm sea along the beach. 2017-03-11 11:00 WEATHER ACTUAL. HAVANA CITY. Lots of sun and high temperatures after a cloudy start. Light winds and a maximum of 28 degrees Celsius (Feels hotter in the sun). 2017-03-11 03:00 WEATHER FORECAST. NATIONWIDE. An excellent weather for the beach will be on the cards today, with sunny skies and very warm temperatures. Maximum temperature will range between 28-31 Celsius (83-88 F) falling to 21-24 Celsius (70-75 F) overnight. The winds will be mild all day so we can expect calm sea in most of the archipelago. 2017-03-10 23:00 WEATHER ACTUAL. HAVANA CITY. Partly cloudy and nice with light winds. Minimum temperature 24 Celsius. 2017-03-10 11:00 WEATHER ACTUAL. HAVANA CITY. Warm sunshine and clear skies. Weak winds and a high of 28 Celsius. 2017-03-10 03:00 WEATHER FORECAST. NATIONWIDE. It will be another dry day with plenty of sunshine and generally clear skies. Maximum temperature will be in the range of 29-32 Celsius (84-90 F) while the lows at night will be between 21-24 Celsius (57-63 F). The winds won't exceed the speed of 30 km/h (20 mph) so we can expect calm sea in most of the archipelago. 2017-03-09 23:00 WEATHER ACTUAL. HAVANA CITY. Not so hot night with a minimum of 24 Celsius. Mostly clear skies and gentle winds. 2017-03-09 15:00 WEATHER ACTUAL. MATANZAS CITY. Mostly sunny and warm with light north-easterly winds and a high of 28 Celsius. Calm sea. 2017-03-09 11:00 WEATHER ACTUAL. HAVANA CITY. Warm morning with plenty of sunshine and light winds. Maximum temperature 27 Celsius. 2017-03-09 03:00 WEATHER FORECAST. NATIONWIDE. It will be mainly dry throughout the day with sunshine aplenty. The winds will be light all day and it will feel warm with highs between 28-31 Celsius (82-84 F); the night will be less warm with lows around 20-23 Celsius (68-73 F). The rough sea will persist in the east and north-west while in the rest of the archipelago it will stay calm. 2017-03-08 23:00 WEATHER ACTUAL. HAVANA CITY. Mostly clear and pleasant with gentle south-easterly winds. Minimum temperature 23 Celsius. 2017-03-08 10:00 WEATHER ACTUAL. HAVANA CITY. Partly sunny and pleasant with a high of 25 Celsius and gentle winds. 2017-03-08 03:00 WEATHER FORECAST. NATIONWIDE. 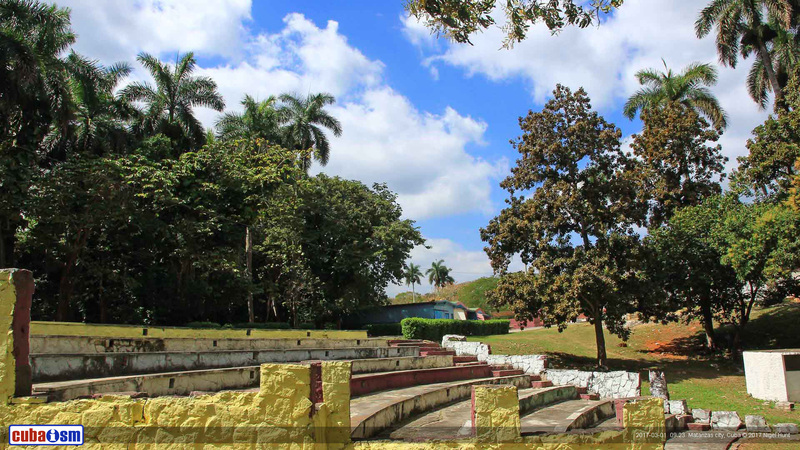 The whole country of Cuba is set for a mainly dry and sunny day with temperatures up to 30 Celsius (86 F); the lows overnight will hover around 20-23 Celsius (68-73 F). The winds won't exceed the speed of 30 km/h but the rough sea will continue affecting the north and south-east coasts. Elsewhere, the sea will remain calm. 2017-03-07 23:00 WEATHER ACTUAL. HAVANA CITY. Nice evening with mostly clear skies and refreshing south-easterly breeze. Minimum temperature 23 Celsius. 2017-03-07 19:00 WEATHER ACTUAL. VARADERO BEACH. Nice weather with partly cloudy sky and temperatures around 26 Celsius. Weak winds and light waves at the beach. 2017-03-07 11:00 WEATHER ACTUAL. HAVANA CITY. Mostly cloudy and fine with a high of 27 Celsius (81 F). Easterly winds at 15 km/h (9 mph). 2017-03-07 03:00 WEATHER FORECAST. NATIONWIDE. It will be rather cloudy across north coastal areas of central and eastern regions with some outbreaks of rain. Elsewhere, it will be mostly sunny and fine throughout the day before increasing clouds arrival later in the day with scattered showers. Top temperatures will be between 27-30 Celsius (81-86 F) while the lows at night will be around 21-24 Celsius (57-63 F). The speed of the winds will gradually decrease, but the strong swells will continue in the north east coast, with moderate floods in low zones. There will also be waves in the south east as well as in the rest of the north coast. In the rest of the south coast the sea will be calm. 2017-03-06 23:00 WEATHER ACTUAL. HAVANA CITY. Nice evening with partly cloudy sky and moderate winds. Minimum temperature 24 Celsius. 2017-03-06 18:00 WEATHER ACTUAL. VARADERO BEACH. Sunny spells with highs around 26 Celsius. Moderate winds and waves across the beach. 2017-03-06 15:00 WEATHER ACTUAL. HAVANA CITY. Cloudy with a high of 25 degrees Celsius and strong gusts of wind. 2017-03-06 03:00 WEATHER FORECAST. NATIONWIDE. It will be mostly sunny across the country although somewhat cloudier in areas of the north with occasional, quick spot showers. The temperatures will range between 25-28 Celsius (77-82 F), 30 Celsius (81 F) in the south-east; the lows overnight will be between 20-23 Celsius (68-73 F). The force of the winds will keep the the rough sea conditions in the whole archipelago, with a risk of local flooding in the north-east coast. 2017-03-05 20:00 WEATHER ACTUAL. MATANZAS CITY. Cloudy with strong gusty winds and waves across the city's coastline. Light rain and nice temperature. 2017-03-05 17:00 WEATHER ACTUAL. HAVANA CITY. Cloudy and windy with occasional light drizzle. 2017-03-05 11:00 WEATHER ACTUAL. HAVANA CITY. Mostly cloudy and windy with a high of 26 Celsius. Rough sea. 2017-03-05 03:00 WEATHER FORECAST. NATIONWIDE. 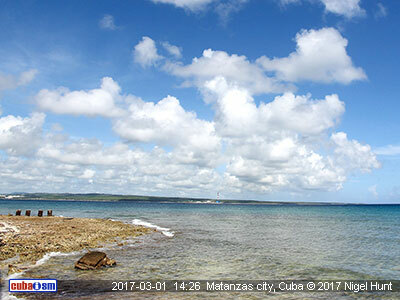 It will be mostly cloudy throughout Cuba with the chance of some showers in areas of the central and eastern provinces. Daytime temperatures will be in the range of 25-28 Celsius (77-82 F) but will be warmer in the south-east; the lows overnight will be between 22-25 Celsius (71-77 F). The winds could reach gusts above 50 km/h (30 mph) and will cause rough sea along the north coast with sea flooding in low-lying areas. There will be unrest of the sea in the south as well. 2017-03-04 23:00 WEATHER ACTUAL. HAVANA CITY. Cloudy skies and moderate strong gusts of winds. Minimum temperature 25 Celsius. 2017-03-04 18:00 WEATHER ACTUAL. VARADERO BEACH. Deterioration of the climate in the late afternoon, with cloudy sky and rain. Moderately strong winds and waves along the beach. 2017-03-04 11:00 WEATHER ACTUAL. HAVANA CITY. 2017-03-04 03:00 WEATHER FORECAST. NATIONWIDE. The advance of a new cold front will bring some clouds and showers over western and central Cuba. In the East, however, it will be mainly dry and sunny all day. Highs will be in the range of 26-29 Celsius (79-84 F), somewhat warmer in the East. Minimum temperatures at night will be around 22-25 Celsius (71-77 F). North-easterly winds with gusts above 40 km/h (29 mph) will produce strong waves across the North coast, especially in the north-west where moderate coastal floods are possible. It will be different in the South with mostly calm sea. 2017-03-03 23:00 WEATHER ACTUAL. HAVANA CITY. Cloudy night with gusts of wind. Minimum temperature 24 Celsius. 2017-03-03 19:00 WEATHER ACTUAL. VARADERO BEACH. Mostly sunny afternoon with light breeze and some light waves along the beach. 2017-03-03 10:00 WEATHER ACTUAL. HAVANA CITY. Largely sunny and warm with temperatures in the top 20's Celsius (70's F). Light north-northeasterly winds. 2017-03-03 03:00 WEATHER FORECAST. NATIONWIDE. Today will be mostly dry and sunny throughout the country although there is a small chance of an afternoon showers. Maximum temperature will be in the range of 28-31 Celsius (82-84 F), somewhat hotter in south-eastern parts while tonight's temperature will be between 21-24 Celsius (57-63 F). 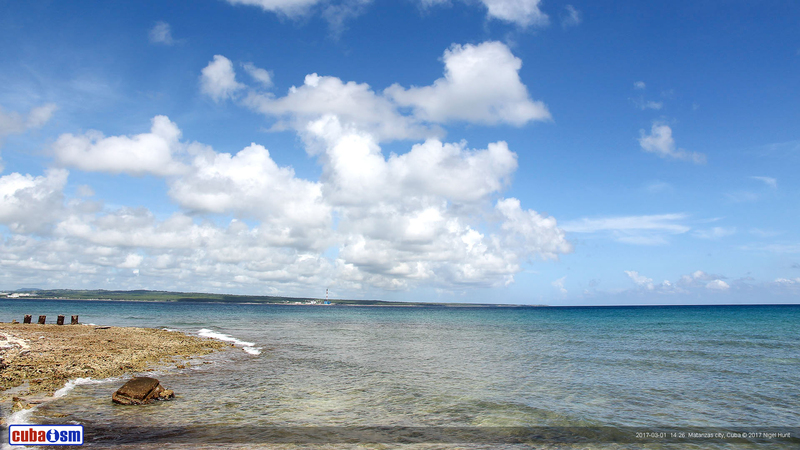 There will be waves on both of the eastern coasts and calm sea in the rest of the archipelago. Later on, the waves will begin to lash the north-west coast becoming a danger for aquatic activities. 2017-03-02 23:00 WEATHER ACTUAL. HAVANA CITY. Warm evening with mostly clear skies and weak winds. Minimum temperature 25 Celsius. 2017-03-02 19:00 WEATHER ACTUAL. MATANZAS CITY. Sunny afternoon with weak winds and very high temperature. 2017-03-02 11:00 WEATHER ACTUAL. HAVANA CITY. Pretty warm and sunny with light north-northwesterly winds. Maximum temperature 28 Celsius although feels warmer in the sun. 2017-03-02 03:00 WEATHER FORECAST. NATIONWIDE. High pressures will dominate the weather across Cuba today, giving generally dry and settled conditions. There'll be plenty of sunshine around with light winds and highs between 29-32 Celsius (84-90 F); the lows overnight will be in the range of 22-25 Celsius (71-77 F). The waves will continue hitting the eastern coasts but the rest of the archipelago will remain calm. 2017-03-01 22:00 WEATHER ACTUAL. HAVANA CITY. Nice evening with mostly clear skies and refreshing winds. Minimum temperature 25 Celsius. 2017-03-01 17:00 WEATHER ACTUAL. MATANZAS CITY. Hot temperatures, plenty of sunshine and weak winds. 2017-03-01 11:00 WEATHER ACTUAL. HAVANA CITY. Mostly sunny and warm with light easterly winds. Maximum temperature 28 Celsius (Feels warmer in the sunshine). 2017-03-01 03:00 WEATHER FORECAST. NATIONWIDE. 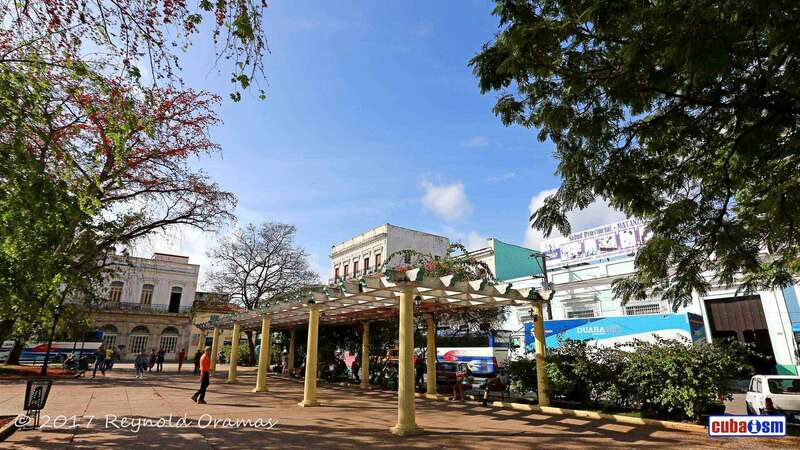 Today will be a dry and sunny day across a very large part of Cuba. Expect it to feel warm throughout the day with highs of 29-32 Celsius (84-90 F); overnight under the clearer skies, it'll be less warm as temperatures dip into 22-25 Celsius (71-77 F). Gusts of north-easterly winds above 30 km/h will cause some waves in the eastern and north central coasts but in the rest of the coasts the sea will stay fine. The weather is hot and sunny all year round. April and May though are especially good. Then you have the most sunny days, low rainfall, low humidity, hot, but not too hot and no hurricanes. In addition, and rather perversely, generally this time, except the Easter week, is “low season”. So, you should see that flights, hotels, package holidays and car rentals are at the lowest rates but with relatively high availability. Please note some Hotels and Car models are popular all year so bookings are advisable as far in advance as possible.